The majority of us start the New Year by making a list of New Year’s resolutions. A list that will help us change our undesirable behaviour and adopt more desirable behaviours. For many people that list will include a healthier lifestyle and a new career path. For many of you reading this, that healthier lifestyle and new career path can be rolled into one, by becoming a Personal Trainer. Firstly, because you’ll be studying everything it takes to make your clients reach a healthier lifestyle, you’ll be able to apply that to your own life. Secondly, with a career in fitness, you’ll be surrounded by health and fitness day in day out, therefore it’s hard not to become enveloped by that environment. However, as we know all too well, we often fail at keeping our New Year’s resolutions. Those of you that are fitness fanatics will be dreading this January in the gym. Full of new and hopeful gym goers that are trying to do just what was mentioned above; start a new and healthier lifestyle. But as you know, this will die down as the less motivated and less driven people abandon their resolutions. Pick just one thing to change. You want a new career in fitness, and this is your main goal for the year. The biggest problem people find is that they pick too many goals. These goals end up getting minimal attention and fail. Once your first goal is well under way, you can look to choose additional goals. Just because it’s a new year doesn’t mean that now is the only time you can make changes. 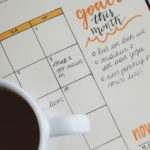 Of course it’s a good time and a popular time to do so, but you can add goals throughout the year. So for now, a new Fitness Career is your only goal. Make a commitment. The problem with choosing a goal and waiting until things are just right is that things will never be just right. You need something tangible to ensure that your goal remains in sight and worth pursuing. Put down a deposit on your course now and have that commitment to it. We’re offering a limited $100 deposit throughout January to give you that sense of commitment at a low price, you can enquire here to get things started. If you plan on studying online, you can choose a start date that fits around your current commitments and then study at your own pace. Plan your attack. Planning is essential to keeping a goal in progress throughout the year. If you’re studying for your Cert III & IV in Fitness, you will need to plan when and where you can study. If online, you should plan to commit some of your free time to studying. If you want to do one of our face-to-face courses, you’ll need to plan how you can attend these classes. Whether full time or part time, you will need to come to our campus on certain days. List any obstacles. Part of achieving goals is foreseeing problems. If you can figure out what might cause the goal some issues, you can pre-empt and overcome them more easily. For example, will you need to work part time around your study? Talk to your boss and make sure the hours are going to work. Pick a start date. You don’t have to start on New Year’s Day, it’s a popular day, but choosing a date that works well for you is better. Once you’ve committed you can then choose a date to start your study. Adhering to that date is important and will give you a sense of progress. Give yourself Rewards. Rewarding yourself at certain checkpoints is a great way to reinforce good behaviours. There are 11 topics in our Cert III in Fitness and 8 topics in our Cert IV in Fitness. Give yourself a small reward each time you finish and pass a topic, and then a big reward when you finish each Certificate. Give it your all. Once you start don’t stop until you’ve completed your objective and have your Certificate III and IV in Fitness.